In 2018 the 30th June fell on a Saturday, increasing the chance that SMSF trustees who left decisions on contributions to the last minute will not end up with the result they intended. It may be too late to fix this for 2018 but we thought we would make our position as SMSF auditors clear in relation to our views on when contributions have been received by a fund. Detailed guidance with further examples can be seen in ATO Taxation Ruling TR 2010/1. A contribution via EFT is ‘received’ by the fund and should be accounted for when the amount is received in the SMSF’s bank account. 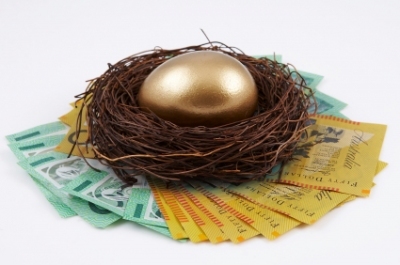 The ATO do not accept the argument that SMSF assets have increased & the contribution can be recognised if the payer has made the payment & can demonstrate that the money has left their bank account. A case often sighted on this matter is Rawson v FCT  AATA 322. Mr Rawson initiated a concessional contribution of $97,127 from his Company to his wife’s superannuation fund using BPAY at 7.21pm on 29 June 2009. This was received into the fund’s account on 1 July as Mr Rawson has missed the cut-off time of 6.30pm as stated in the bank’s BPAY terms for monies to be received the next business day. Both the Commissioner & the Administrative Appeals Tribunal rejected Mrs Rawson’s request to reallocate the contribution using “special circumstances” grounds as it was not in any way “unusual or out of the ordinary” – presumably if it could be demonstrated that there was an error by the bank and their terms were not kept to, the ATO would have allowed a reallocation. In some cases, the accounts of the payer and the receiving fund are “linked” accounts held at the same bank and immediate transfers are possible. If a transfer between linked accounts were made on a week-end it be recorded on the next business day on the accounts bank statements. We would accept evidence from the bank that the accounts are linked and documentation of the transaction in this case. We have not yet come across this in practice. In this case, contributions are recognised on the transfer of ownership. It is accepted by the ATO that the fund obtains ownership of an asset when beneficial ownership of the asset is acquired, and that beneficial ownership can be acquired earlier than legal ownership. In the case of business real property, all transfer documents could be signed but not yet lodged. The date of the transfer for SMSF accounts purposes is the date the fund trustee has all necessary documents in their possession to effect the transfer. Similar principles apply to listed shares, the SMSF acquires the beneficial ownership of shares in an ASX listed company when they obtain a properly executed off-market share transfer in registrable form. As SMSF auditors we cannot offer flexibility when interpreting the timing of contributions, we refer to established precedents and ATO guidance. Trustees should take care when planning contributions close to the year end where the intention is for the contribution to be recognised in the current year. Writing a cheque can be a much safer option than relying on your bank to process an EFT before the year-end.